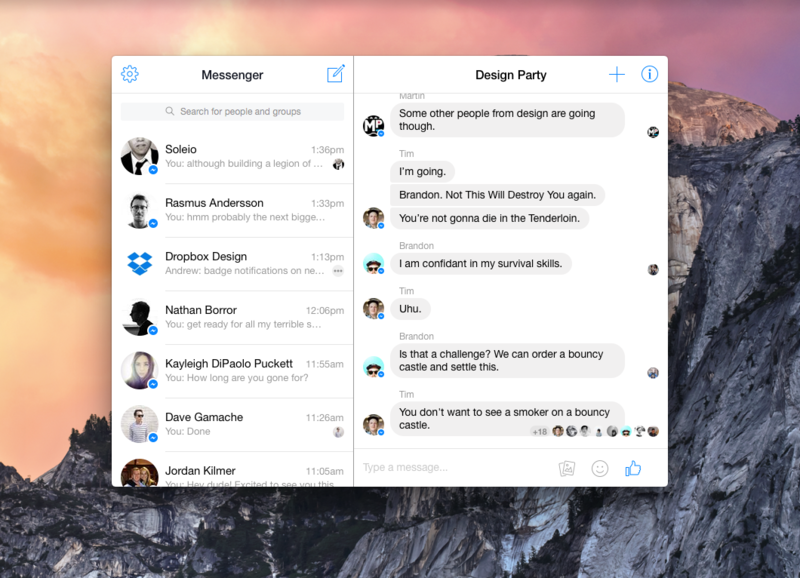 Would you recommend Messenger for Mac to a friend? Well that was quick. Facebook Messenger for web just launched 4 hours ago. This looks a lot cleaner than Goofy which is what I have been using for the past few months. I am really glad that Facebook decided to separate the messenger product because that is the only thing I use Facebook for these days. Two things we're working on right now: notifications and badging! between trying new app passwords, my current password, and having the 2-factor-auth on... I can't log in using the app. idk if bug or... I'm on the website one no issues EDIT: 0.0.4 works now and works with Google Authenticator flow w/in FB. sweet. thanks for the quick updates! Can we a menu bar app please? What is the best Facebook Messenger for macOS?